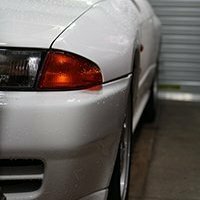 Hi guys, I'm looking for a diff specialist that can inspect the diff out of my R32 GTR (Will be provided out of the car) and rebuild if necessarily in the Sydney area. Google tells me that Award Diff & Gear Box Services was a popular place to use for Skylines however I believe they have closed down. Any other suggestions? Thanks. Hey guys so after a comp test my engine has busted rings leading to 40psi. So I’ve taken them all apart. I’m the first owner in aus from Japan. My rods don’t all line up properly in numerical order. Also my piston caps have been stamped. Does this mean this engine was rebuilt with stock parts at some point ? Indestructible 26 drift pig Hey recently purchased a 180 with a 26 converted to rear wheel it's running 85 and has most of the good bits the kiddies go cray cray for but for some reason they left the internals alone and after some practice Iam hearing horrible knocking from bottom end it has the n1 oil pump and for some reason a r33 crank any tips on creating a stable build built for hi revs? Hi guys, I am looking at rebuilding my R33 GTS-T gearbox. There must be someone here who has done it or at least a good write up because of how popular skylines are. 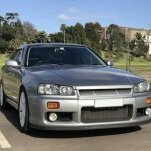 I have found the factory manual for the r32 gtr by searching on these forums, from reading there are people who say its nearly impossible without the right pullers and others who say its simple. I have a 50 ton press at work and some simple snap on bearing pullers. Does anyone know where you can buy the synchros, bearings, shift forks and whatever else may be necessary to take out this rebuild? My local nissan dealerships are impossible to deal with, don't even know what synchros are and a technician I spoke to who found the parts by looking up the VIN said be looking at a 2-3 month wait and the prices were through the roof ($1100 +GST for bearings, synchros and a spacer!). Local shops quote me $1800 + parts too, very costly. Second hand box not an option as by this age would be in similar condition. Thank you. R32 GTR air con compressor rebuild? Anyone used DM Motorsport in Penrith? Hey I recently just had my sump extended and pull apart the front diff.. I now need someone who can put it back together for me with all new seals can anyone recommend someone in Sydney? Built 2.6L There are a few thread around regarding built engines. Most threads i found are a few years old. Are people making decent power on built 2.6s or is everyone just going 3L now? i would prefer to stay 2.6, my thought process is build a 2.6 with great parts instead of an average 3L. also the 2.6 is an easier in out job as opposed to 3L. whats the verdict? what is everyone doing these days? R32 Gts-t- What Year And How Much Is It Worth? Hello All, I purchased an Rb26 motor back when I was a bachelor in 2011 in hopes of swapping into a 240z. Long story short, I met my wife, bought a house, got a dog and had two kids... Needless to say, the project has been put on hold. Now that life has somewhat settled, i'm thinking of taking up the project again. Since i'm new to RB's i'd thought I would start with the motor first. The motor I purchased came mostly disassembled except the head and block. I figured that i would familiarize with it starting with a fresh rebuild. Im not entirely a newb when it comes to mechanics, just have never rebuilt a motor before let alone an RB26. Any suggestion on instructionals or "how to's" would greatly be appreciated. 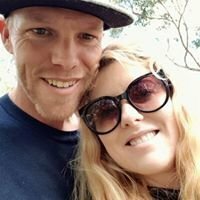 All that to say is, I look forward to this community and its help. CA18DET Rebuild or engine swap? Picked this up on the weekend for the track car, apparently approx 150ks and removed as a "runner", toying with the idea of attempting the rebuild myself - which I've never done but always really wanted to try. I've got a basic workshop, most tools, have done turbo/head/manfiold swaps and have over a decade experience with Nissan platforms etc etc so I have half an idea. Standard rods don't like going past 220 or so rwkw apparently and as my current motor is an original bottom end with some basic bolt ons I wanted something fresh anyway. Parts list will look something like this. Spool forged kit which has rods, bearings, pistons, rings, pins, metal head gasket etc. Headstuds New gaskets and hoses throughout. New oil and water pumps, timing belt, idler tensioner. Some tomei 256 cams I have sitting in a box brand new. Either new OEM or basic upgrade valve springs and some new lifters (lifters needed?) New balancer. Mild porting/port matching, nothing crazy, remove butterflies and possibly relocate injector ports. A GTX2860R I have sitting here which is new, could swap for 63 or 67? A little Tiual 38mm external gate. E85 Use my existing Nistune. Re-use existing oil cooler/intercooler/radiator fuel setup etc. I would want the basic bottom end balancing done, but once the initial weigh/measure/balance is done and you install the rotating assembly can you/should you then have it balanced as a short block? I've seen people do this with clutch attached also which seems odd, given the clutch could die tomorrow and be different. Same for the head, the guy I would have do some porting could likely do the valves/springs and clearances while he's there. leaving me cams/fit head to block which I'm OK with. With the 2860, I can't see it making more than 230-240rwkw, which is fine given I have no big plans for new gearsets or box swaps. 63 and 67 would go a little further but run the risk of hurting the box sooner - Box which is just a stocker with a nice clutch and fluid and no present issues. The alternative is I break the motor down, get all the parts, then deliver it all ready for assembly to my mechanic and collect assembled short block, an assembly head from the head guy, and do the final assembly and swap myself. I know it's not a "simple" task, but for those who have DIY'd a rebuild, would you do it again? What caught you out, anything else to throw in? Hi, I started a thread not long ago about misfiring under medium to heavy acceleration. Poking around I had really odd results testing the resistance on the coil pack ignitor. It lead me to believe the ignitor was faulty; replaced this and the problem didn't go away. I'm still curious what the resistance of other ignitors are... when I get a multimeter I'll test the re-furb unit too. In short, here is what i did: Replaced the ignitor - same. Dropped in a set of BCPR6ES-11 - same Dropped in a set of BCPR6ES - better but still same same Checked for un-metered air. Found K&N oil from the panel in the air box. Replaced with paper filter, cleaned AFMs with CRC AFM cleaner - marginally better with the BCPR6ES in there. Inspected the coil packs. No cracking. Did some reading about coil packs and had a penny drop moment. Basically, two things: The coils packs, as in the induction coils in the unit itself generally work, or don't. Rule of thumb, there are examples of them failing but not for this post. So, in my case the coil pack fires, and it works. It's the plastics around the pack that break down. Sometimes visibly, other times not. Stumbled onto a YouTube video: https://www.youtube.com/watch?v=Qirx_G4x5i0 Guy with an Aussie accent. I'd be shocked if he isn't on SAU. If you are out there and read this, chime in and take credit. Bought a second hand set of coil packs, some contact cleaner and 2x 7g tubes of dielectric grease. Pulled the coil packs out and apart, sprayed everything with contact cleaner. Then a generous ring of dielectric grease around where the pack flanges out and also underneath the flange. Put the clean springs back in, slid the plastic part nozzle on with another run of dielectric grease around the base. To be sure. Could have been done easily with one tube but being super generous and ended up using a tiny part of the second tube. On the first drive, oh my! How different the car feels. Smoother acceleration, less backfiring from the exhaust, better (smoother?) engine sound and no misfiring. Looking at the old coil packs. See the below pictures. The rim has oxidized, the springs are dirty (pics don't show it) and inside the coil are black marks... If the OEM coils are as good as anything aftermarket, I'd spend the $30 on parts and in an hour it'll be like new. A run of dielectric grease is on my maintenance list whenever I do plugs. HTH someone else.